Jesska Denise: OohLaLa Blog Awards. 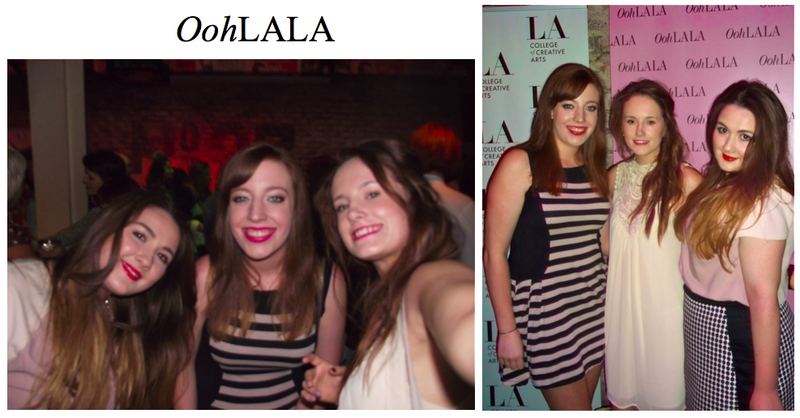 On Tuesday I went along to the 'OohLALA' magazine blog awards. My blog was a finalist in the 'Best Beauty' category along with two other fabulous bloggers 'MakeUpMonster' (who won) and 'BlondesLoveCupcakes'. I was delighted to have been a finalist in a category with such incredible bloggers. Let alone have my blog featured in the magazine with the 12 other finalists. Seeing your blog in a magazine because all of your lovely readers took the time to nominate you is definitely a brilliant feeling so thank you guys so so much. My Mum drove Trina and I up for the night. It was the first time she has ever drove to Dublin, we were so proud that she made it there and back with no problems. The event itself was at '37 Dawson Street' in Dublin which is such a funky,chic place. We had such a fun night and it was fab seeing so many stylish people in one place. I only saw a handful of bloggers I actually knew as the place was SO packed but I did meet some lovely bloggers I'd never met before. We bumped into Aine from 'ThisIsAine' outside and had a great night with her and you should all check out her blog. If I'm honest I think the venue, as cool and unique as it was, was definitely the wrong place to hold the event. So small and narrow and a little awkward for the 'Penneys' fashion show. No bueno. Buuuuut, the fashion was amazing and there are so many fabulous coats I have my eye on. Not good for my bank balance. I'm sure you're all just dying to see what I wore. I joke. I wore a dress I found in 'Penneys' last week. On the tag it was 15€ but when I got to the till it was actually 7€!!!!! BARGAIN. 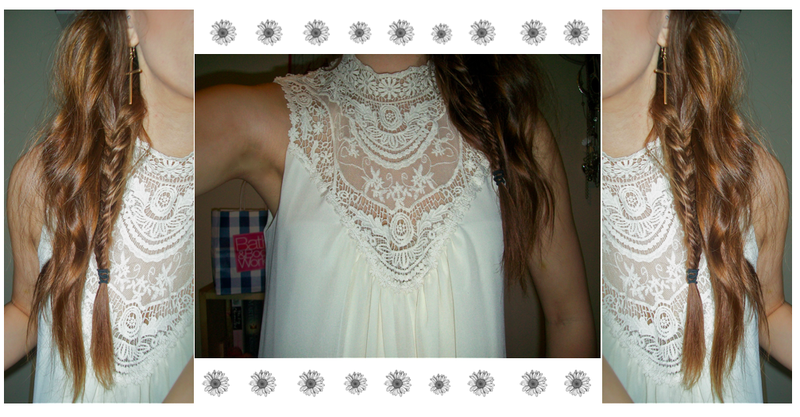 It's this lovely off white, flowy dress with the most gorgeous lace detail around the neck. I'm a little obsessed with it. It reminded me an awful lot of this one Vanessa Hudgens wore a few weeks back and I love everything she wears. So effortless. I paired it with a black studded clutch which was also from 'Penneys' and some 'Topshop' heels of which, neither are pictured. My bad guys. Hair wise, I waved it, brought it all to one side and plaited a fish tail plait down the middle. Thank you Blake Lively for the inspiration there... I'll have a short vlog of the night up on my youtube soon which you can find here. Make sure you're subscribed. Overall it was a fun night and I can't thank you guys enough for nominating me. especially as there was over 100 blogs nominated and 10,000+ votes! Crazy stuff. You look really lovely. And I am in love with your dress! Sounds like a lovely night! I'm still yet to go to my first blogging event.. a mix of nervous and all the timings have been wrong. Your dress is gorgeous, such a bargain! Also you have fabulous hair, I'm so jealous!